One of the directions I've decided to go in, following the crit, was research into sonar. The infograph above educates us how sonar from boats, submarines, tankers, affect marine life, messing with their navigation. 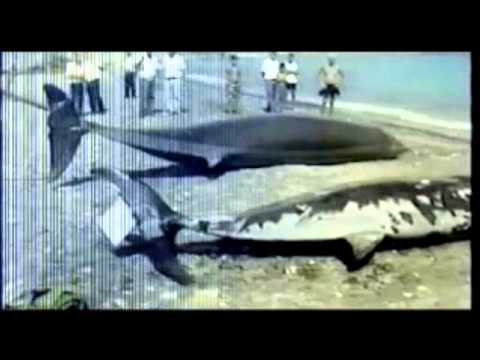 The second image, which is fairly grim, showing the result of sonar-abuse, a form of whaling. 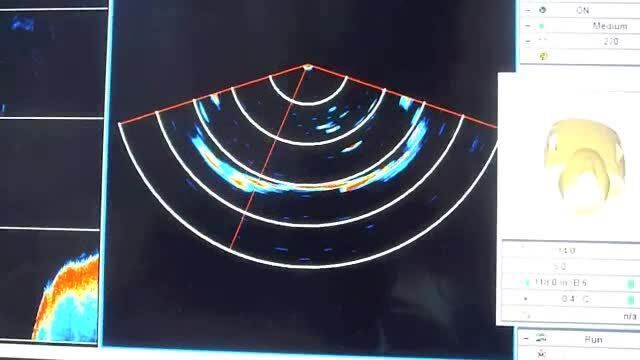 Above is an example of a sonar reader, so we can see the sound which has bounced back towards us, helping us navigate, by informing the distance from objects. However, I've also learnt that the sonar sound-waves mess with the whales' sonar, causing them to beach.